Even on the most limited budget, nothing completely transforms a room the way a few hours and a can of paint can. 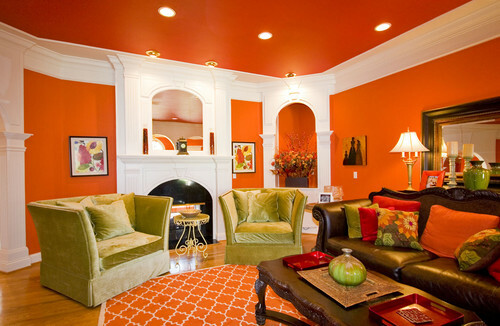 Adding color to walls can instantly make a house feel like a home, one room at a time. The hardest part of the painting process often isn’t the taping or the cutting in or the arm workout; it’s picking the right color! 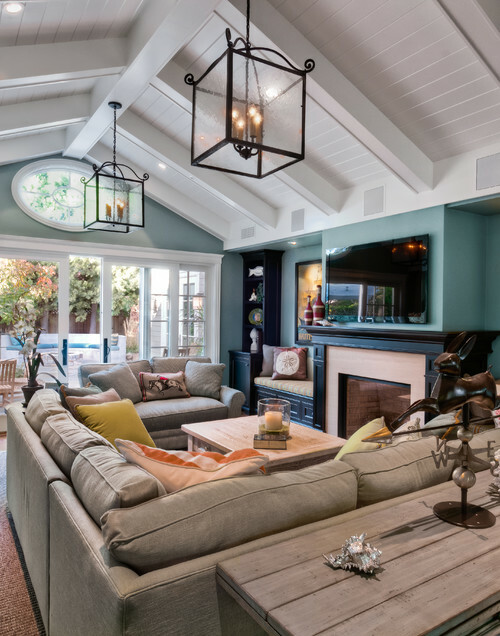 We’ve scoured tons of design sites to get the latest hues news for 2015, and we think this year is going to make it even easier for homeowners to rid themselves of the perpetually white wall. With this year’s line-up of high-character neutrals and bold color saturations, your walls—and you–will either breathe a long sigh of relief or squeal with joy (and both will be amazing). 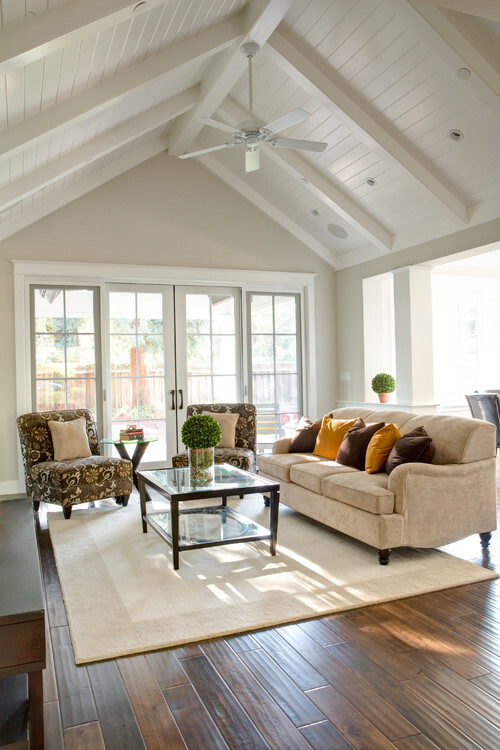 Cool neutrals like the one in this airy living room one give the green and gold accents center stage. Gray is the new beige, and it’s more versatile than ever. The accent wall is both understated and understandable, taking its hue cues from its surrounding walls. When your room is bright an airy, use a darker wall color to bring out accents, lower the ceiling, and bring in the cozy factor. Make sure your trim color is much lighter, but also complimentary; sometimes creamy whites are a better choice than their popular bright white counterparts. …go bold (and go home—happily). 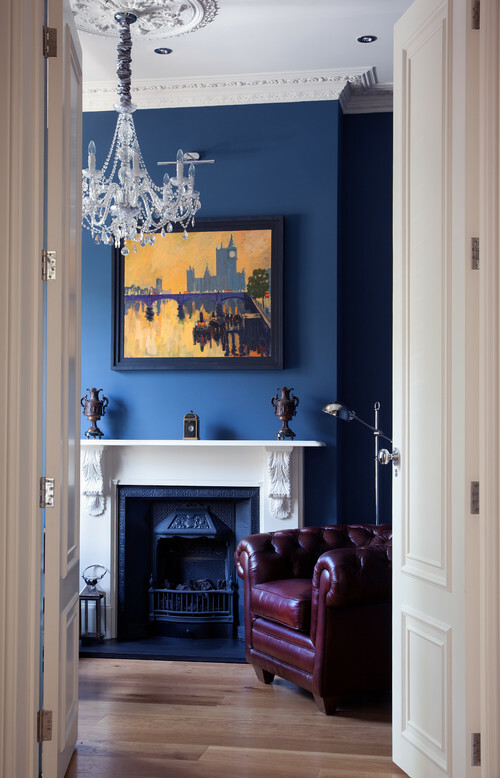 Look how the dark, and flat finish, paint soak up the light and practically beg you to sit in that leather chair. 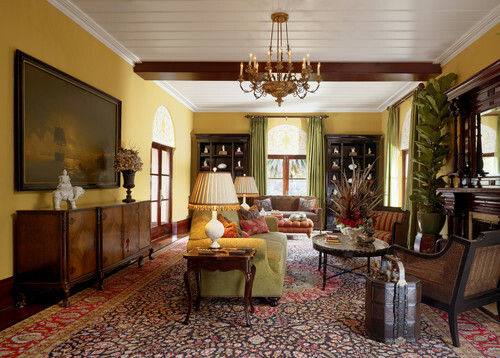 And, speaking of dark (and tall and handsome), look how the blackened brown walls in this room almost completely disappear amidst the backdrop of gorgeous fabrics, patterns, and colors. And sometimes all you need is a little splash of color. Anything in this retro shade will make yellows and oranges very, very happy. And you’ll catch yourself smiling, too. Yellow has that way about it, you know. Instant invitation. Warmth. Plays well with other colors and, if there’s enough red and brown in it to tone it down, can be agreeable for nearly any style. See what I mean? Yellow can be a very convincing neutral. Just when I started to sound reasonable…I found this. Not for everyone, to be sure, but if you can forget the color for a moment (I know, it’s impossible), look how fun it is when everything all ties together. 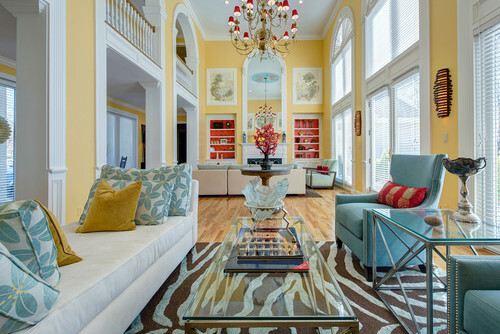 This room screams mimosas and raucous book clubs. The point of this post is this: we all need color in our lives. More and more color. Yes, gray is a color. Make 2015 the year you OWN THE ROOM. And post your before-and-after pictures because I would love to see how happy your walls are. 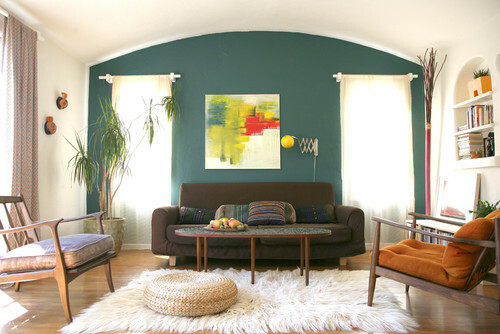 Adding color to your walls? Go off the deep end.